Posted in: Fruit, nature, outdoors, Photography, Plants, Trees. 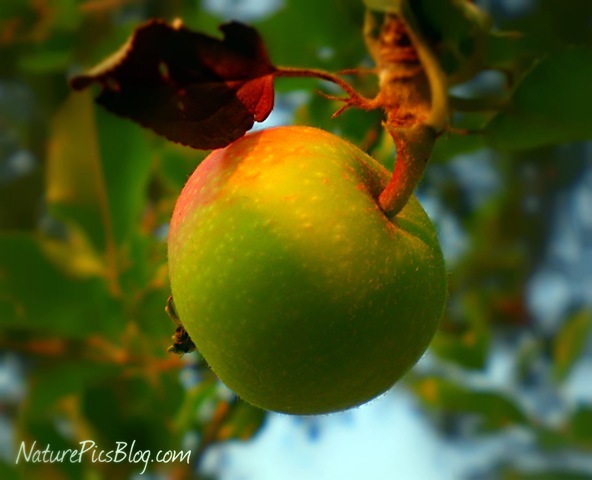 Tagged: apple, Nature, outdoors, Photography, photos, picture, plants, ripening, trees, Wildlife. This tiny apple is just beginning to ripen. You can see a little touch of red on the top. I photographed this one on one of our smaller apple trees we planted a couple of years back. It takes new trees a while to start producing. Hopefully we’ll have a crop this year. Posted in: Bark, Plants, Trees. Tagged: Agriculture, apple, dessert, food, fruit, Garden, home, Horticulture, Nature, photo, Photography, picture, Plant, plants, Tree. 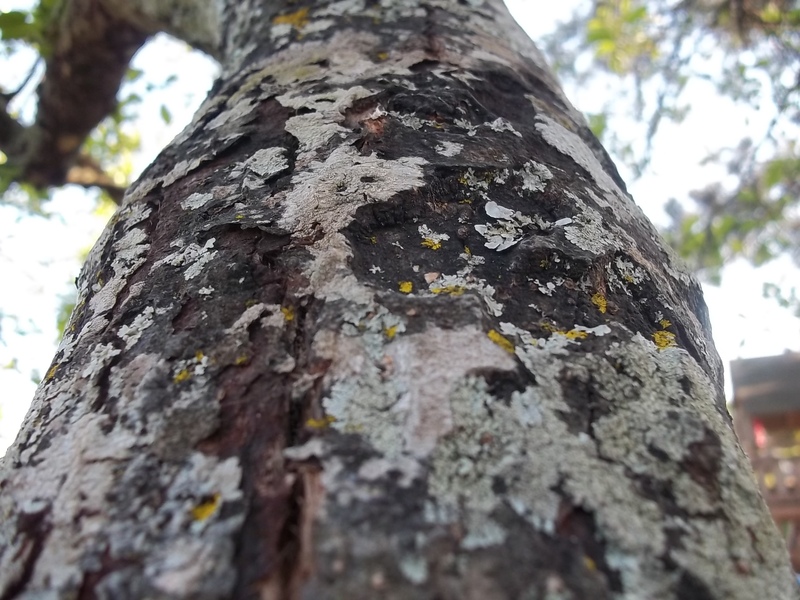 Some of the bark on one of our older apple trees is covered with tree fungus. The apple tree was here when we moved into this house, so I have no way of knowing exactly how old it is. It still produces yummy apples though. Posted in: Flowers, Plants. Tagged: apple, blossoms, flowers, Nature, outdoors, photo, Photography, Tree, Wildlife. I found these apple blossoms preparing to open and show their splendor. Our tree is full of blossoms, so maybe we’ll have a good apple crop this year.